Last week I received a new bicycle for an extended test ride and review: a Pilen Lyx. The distributor (BoxCycles) gave me a choice of colours and I took a gamble once again instead of just asking for black. This time the gamble paid off: The unusual shade of blue looks as stunning in person as it did in pictures. It is an ethereal "northern skies after an afternoon storm" sort of blue that I just want to keep staring at. 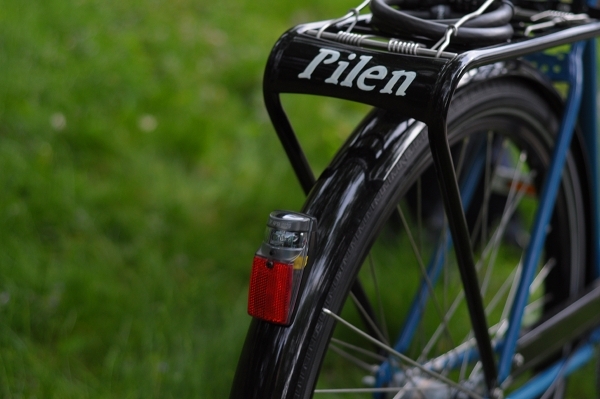 A small Swedish manufacturer, Pilen has been producing bicycles since 1998. The worksmanship looks outstanding. The finishing on the TIG-welded frame with lugged fork crown, seat collar, and capped seat stays is up there with the quality of high-end custom frames. I will cover the frame details in the review after I've had more time with the bike, but so far I am pleasantly surprised. 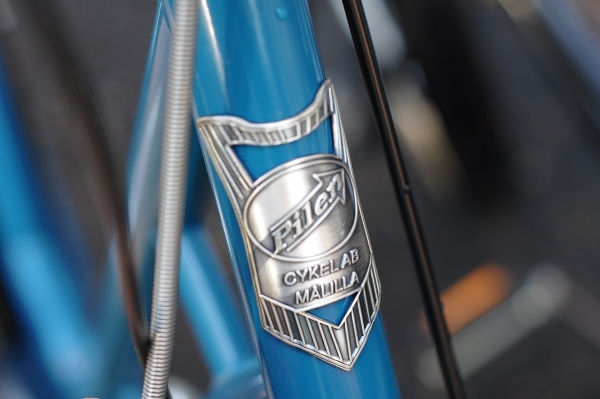 Nice headbadge, too. Pilen means "arrow" in Swedish. The lady's frame is available in one size only and it is huge: 56cm or 58cm (22"+), depending on how you measure it. At 5'7" I had to slam the saddle down, but I'm used to that: my Gazelle and Raleigh DL-1 are the same size. Here are the Gazelle and the Pilen together. The Pilen will be kept outdoors for the duration of its visit, which will allow me to test its resistance to the elements. The distributor assumed this as a matter of course, since that is how he keeps his own bike and that is how Pilens were designed to be stored. I've been riding the bike since Friday, but am not ready to describe the ride quality yet. It is not like a Dutch bike, and neither is it like an English roadster, so I am trying to "understand" it. I am also still messing with the handlebar and saddle positions and will hold off on my impressions until I get those just right. In their generosity, the distributor has given me the green light to give this bicycle away once I am finished reviewing it. There are no strings attached: I can just give it to one of my readers in any way I see fit. This is exciting, and I already have an idea for a contest that is kind of kooky, but hopefully fun. So if you are a taller lady, the Pilen could be yours! The final review will probably be ready in 3 weeks' time, and that is also when the bicycle will be given away. Stay tuned and I will post more about the contest next week! Wow. The whole time reading this post I was having good vibes about this bike being a good fit for me (I'm about 6'0"). So hard to find non-road bikes that are suitable for tall ladies. I am excited to hear your thoughts on it, and will definitely be looking into Pilen either way. Cheers! That's a nice looking bike. I like the forks, and also the stabilizer spring. It's also great that it comes with lights. A nice package altogether. The only thing I don't care for is the black rims. I think a nice set of polished rims would really set it off. Hmm, I may have to join this little competition. My upright commuter bike collection is down to zero right now. And yeah, the fork crown is nice. 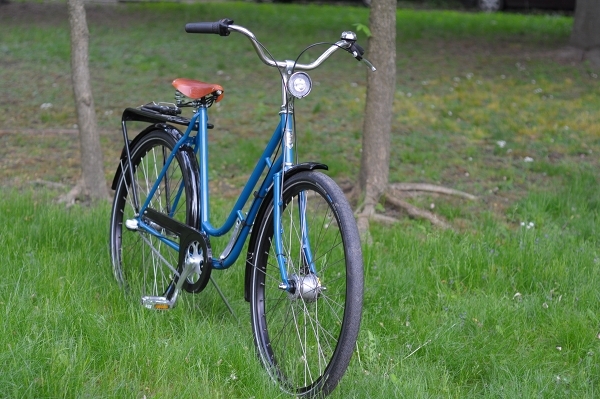 On a related note, I will be having a "Lovely Bicycle and friends" summer sale later this week and there will be a Workcycles Secret Service (not mine) for sale at a very good price. Gorgeous color and great looking bike. I look forward to your review. And as I 5'9" lady, I will definitely keep my eye out for that kooky contest. Great looking bike. I am also one of the taller gals who wonder why steptrough frames is are only made for small women. I really wanted the Bella, but since I am not in the US.. Also i know men who would like to ride a steptrough without looking like a bear on a bike. I am keeping my eye on competition. My old Sparta had similar black rims and black trim which at first was a big turn off, but later I really enjoyed how I didn't feel the need to clean it and polish it. With the chromed rims on my bridgestone, any little corrosion and I break out the steel wool. 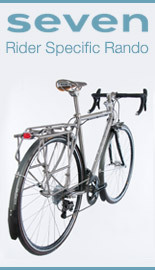 This is a lovely and highly functional bike and I congratulate the special person who gets it! She'll be a hard working addition to any garage. I love the colour - like LuckyChow99 I'm not sure about the black rims. They look too industrial for the elegant frame. I look forward to reading a more detailed review. So she's not a Britster, and she's not Dutch. This great-looking, finely-detailed lady clearly has a personality of her own. Re the height issue it seems a lot of the northern European bikes are made for taller people; I'd have trouble fitting a Gazelle for instance. 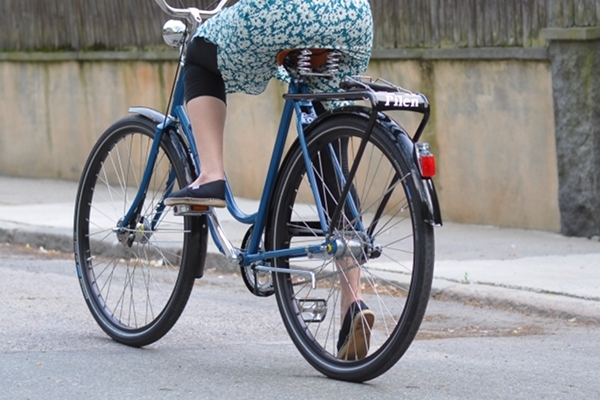 While it's a wrench for us shorties, it means that taller women riding upright-style bikes can have their saddles at appropriate, comfortable heights for their handlebars instead of having to compromise on a mix of good styling vs. frame size. Some months ago, in my 40th birthday, my wife give me an awesome Pilen SuperLyx (like your, but using a SRAM i-Motion 9 hub). I'm sure that you'll love your Pilen as I love mine. I think it's THE BIKE. It´s like a Dutch, but stronger enough to almost any trail. An everyday bicycle. If there weres possible, I'm sure that my wife would proudly adopt your Blue Pilen. I was poking around their website and did not easily find a price list. What does that Pilen go for? Darn you Tall woman! looking forward to hearing more. I'm a little puzzled why you'd limit the contest to people 5'7" or over. I know that for your riding style, bike size is dependent on being able to put a toe down, but a lot of people don't have that as a requirement of bike fit. At 5'2" I quite easily ride a 55 cm step-through frame, and that's with a tall sprung saddle and my proportionally short legs. So while this bike is probably still too big for me, that leaves a lot of people between my size and 5'7" whom it could work for! Perhaps give the bike size, clarify how it works for you with your height and riding style, and trust that potential contestants can figure it out themselves? sausend - This bike is recommended for women 5'7" or taller and I prefer to stick with this recommendation. Even if a smaller person can mount this bike, the positioning will not be optimal. I would rather that it goes to someone who will fit it properly and feel good on it, rather than struggle with the fit and ultimately sell it. Additionally, as some have expressed here, taller women in the US really struggle to find large step-through frames and I see this as an opportunity to accommodate someone of this segment, who usually feels left out. dweendaddy - I am fuzzy on the pricelist also. They are only now starting to be sold in the US and I think we will have to wait and see. The distributor tells me that the specific bike I have (3 speed coaster brake) is around $1,200, but please do not hold anyone to that figure. I used to drive Volvo's when they were still a Swedish owned company finding them to be both comfortable and tough. This bike looks to follow in the Swedish mold of tough & comfortable. I did note , much to my surprise, that these bikes come standard with a spring steering damper. Nice. Perhaps, just a suggestion, you could use a Rivendell-esque inseam measurement instead of height? I'm not quite 5'6", but with a nearly 31.5" inseam, I'll bet I could ride that bike. The Viva is that size, and fits me perfectly. The Linuses I test rode were "perfect" for women under 5'7" according to the shop guys, and I was waaaay too long-legged for them. The worry is that this could also go the other way, in that a woman who was 5'7" but who had a relatively short inseam could end winning a bike that's too big for her, and that would be a real shame. FWIW, I'm not interested in the bike myself, though it looks great! Yay! I think I like this Pilen. It is Swedish and tall, just like me! And you're right, you nailed the color. It is fab. I'm happy with my bike and have no interest in the contest, but I *would* be interested to hear more about why bike manufacturers use height rather than inseam as a guideline for sizing. Going by my height led me astray with my first bike. snarky - What makes you say that your Viva is the same size as the Pilen?... Going by your pictures of the bike, it looks to me like a 52cm frame. Checking the manufacturer's specs confirms that they come in 44cm, 47cm and 52cm sizes. The Pilen is a 56/58cm frame (22"+), which is huge for a step-through frame. Plus it has larger wheels than the Viva (with fat Big Apple tires), which increases its min saddle height even more. That is about a 3" difference in sizing between the Viva and the Pilen. I have a 32" inseam and even if I were to have my leg straight as an arrow on the downstroke, I can raise the saddle at most 1/2". Hope that puts it into perspective. Nobody will be prohibited from taking part in the contest based on their height. But optimal fit will be one of the criteria used to decide who gets the bike, as I think it would be only fair to give it to someone for whom it is a good fit. neighbourtease - One reason manufacturers use height is that people are often wrong about what they think their inseam is (for example, they go by what their jeans say, as opposed to measuring their actual body) but they are seldom wrong about their height. But I think the more likely reason you were led astray about your first bike fit, is that different manufacturers use different standards for sizing! It is really very frustrating. Even though I'm not a lady, I like the colour very much. I also like the idea of the spring between the fork and the frame; one thing that's highly unpleasant is the front wheel trying to "look over its shoulder" when I'm loading the bike - the kickstand just can't handle that. I'm 6'1" in my bare feet, and Miss Surly is a 58cm frame. I haven't ever been able to find a "female frame" that was quite tall enough. where were all of these tall women at when i was young & single? Just looking at those photos - that bike is HUGE! I wouldn't enter the contest knowing it would not fit me... so I agree that realistically it should be kept as more of a contest for taller cyclists who probably have a hard time finding a lovely bike like this in their size! I appreciate that you are discussing the specifics of the size. Even though I'm under 5'7" I don't feel left out. Maybe that's because I just got a Linux Mixte 8 that I love. It only comes in one size, so I think riders more that a few inches taller than me might find it cramped. That another manufacturer is taking care of the taller riders is only fair. 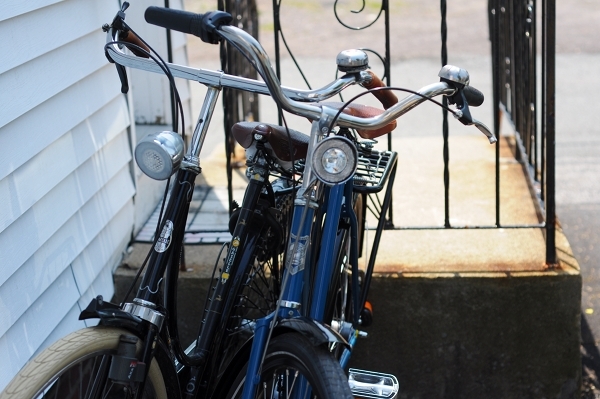 That you want the bike to go to someone who can actually ride it seems more than reasonable. Sorry, Veloria, you are right. I remembered the Linus as 52, so The Viva would have been a 55 (3cm bigger), but the Linus is a 49. Nevermind :). This is probably why inseam measurements are better anyway, but yeah, that's a big bike. I'll try to get a picture of myself on the bike with my leg 100% straight to give people an idea of inseam. The prob with giving just the inseam measurement suggestion, is that people really do tend to think that their jeans inseam is their actual inseam and thereby overshoot the number by about 1". Anyhow I will provide all the measurements that can possibly be given to make it fair. Re the black rims on the Pilen: I normally dislike black rims on bikes (or any powdercoat rims, for that matter) but I think here they look okay. The Pilen is not "pretty," but utilitarian and the prettiness is almost accidental. I also neglected to mention that it is built with off-road capacity in mind (forest trails) and the wheels are supposed to be super strong. I need to test this! The colour looks like my Brompton. a beauty, whether by design or happy accident. How does the ride compare to the Steyr Waffenrad? That would be the bike to which I'd most quickly make a comparison. 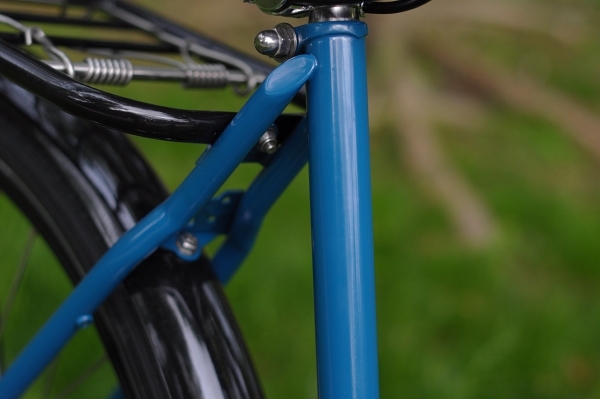 Corey - Despite the swan frame similarity, the Steyr Waffenrad is essentially a Dutch bike as far as geometry goes. The Pilen is not; the angles are different and the handling too. One thing I have noticed is that every classic Dutch bike I've tried has an extremely light front end, which at slow speeds can be disconcerting for someone who is new to these bikes. The Steyr shares this characteristic, but the Pilen does not. It never ceases to amaze me how different bicycles that look so similar on the surface can be. A couple of visual cues and you can see how the Pilen would be more planted than a trad Dutch. 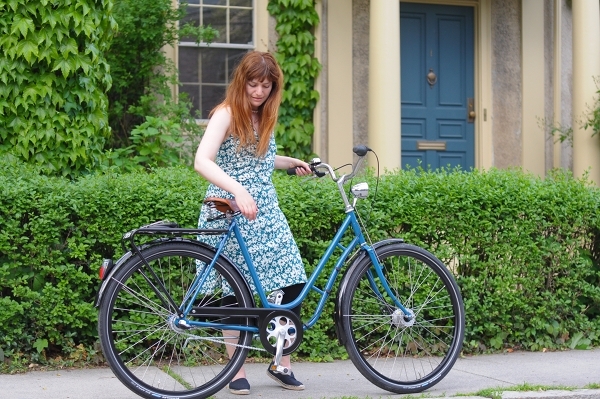 The Pilen frame is big so you're more btwn the wheels and the HT is short, making the whole incrementally more long and low vs. a ladies trad Dutch. The Pilen strikes me as having a more men's Dutch geo or 80s era American mtb. Looks like you'd be able to climb standing easier with the combo steeper HT angle and flared bars. Virtual TT doesn't look super short either. ^ That's fairly close to spot-on. Surprised that you can tell all this from the limited pics though! Gosh, I wouldn't have pegged it as mountain-bikey at all from the photos! Now I'm even more intrigued. Cool! I wonder about the weightless front-end Dutch bike thing you mention. I haven't noticed this on The Viva, but it's the only Dutch bike I've ever ridden, so I'm not sure what you mean, exactly. It doesn't feel any different than my Raleigh in that respect. I wonder if I just haven't noticed this, or if it's a Viva thing, or what? 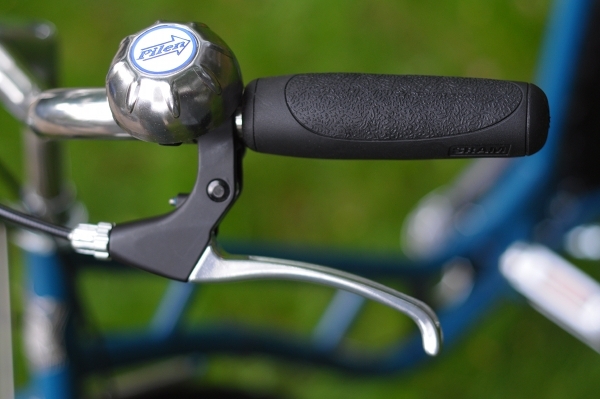 I'll have to test out a different Dutch bike when I take my Raleigh into the Dutch Bike Co. to get the brake fixed. Intriguing all around! I have not seen a Viva in person, but it does not look like a classic Dutch bike to me (by which I mean a particular geometry, and not just country of origin). More like a Retrovelo or Velorbis balloon type of ride. Also, Viva is a Danish manufacturer. Snark, the Viva Juliett I rode was super Dutchy, but the Viva Kilo I rode was more planted in the front end. ^ Sorry, the rest of my comment got cut off and that sounded abrupt! Please do try to ride a Gazelle or Batavus or Workcycles at the Dutch Bike Co. if you have a chance and let me know what you think. From the looks of the Viva, I'd venture to say that you will find their ride quality different. Your Raleigh is a 26" wheel bike like the Viva and *might* have similar geometry (at least more similar than either of them are to classic Dutch bikes), so the similarity you feel between them could make sense. GR Jim - So what accounts for a light vs "planted" front end on an upright bike like that? Is it the trail? If your Swedish guest offers to make lutfisk, politely decline and remove her from your xmas card mailing list. She intends you harm. Magnus, photographer at Pilen Cykel. No, first of all it's a matter of weight distribution. 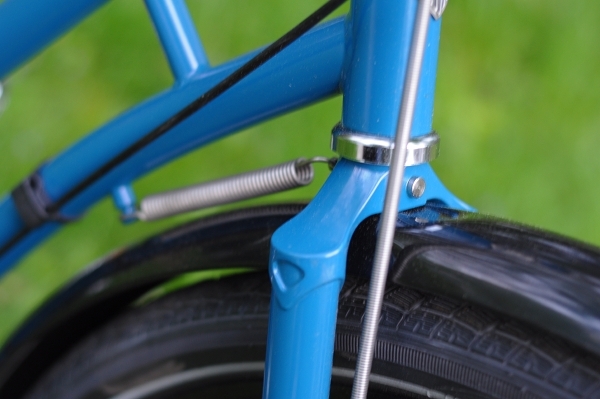 On typical Dutch bikes, the seat tube angle is extremely shallow, which places most of the rider's weight far back, above the rear wheel. The head tube angle is very shallow, too, which, in combination with the swept-back handlebars, forces the rider into a fully upright posture with almost no weight distributed towards the front of the bike. The result is a front end that feels light. To make a bike feel more "planted", as Jim put it, it is inevitable to place a part of the rider's weight towards the front of the bike. Obviously, in comparison to a classic Dutch upright bike, the Pilen's significantly longer distance between saddle and handlebar will place the rider in a posture that is (slightly) leaned forward rather than fully upright. This will move the rider's center of gravity away from the rear wheel, towards the front end of the bike. The forward leaning posture will also make the rider's arms support the upper body, thus placing more of the rider's weight on the handlebars. This balanced weight distribution and less upright posture will not only improve the handling of the bike, but will also allow for a more efficient pedal stroke and for better climbing. Having ridden my Retrovelo Klaus for more than 30000 kilometers now, I can tell that it is possible to design bikes that are as comfortable as they are well-handling and efficient to pedal. I'd expect the Pilen to be quite similar to the Retrovelo Klara in that respect. I'm an Australian living in Oslo and I have a Pilen SuperLyx which I bought about a year ago. These are absolutely amazing bikes - rock solid build quality, well-poised and free-rolling. Nice to see you review a Pilen. Of all my bikes, the Pilen has proven to be the most versatile. I've only I had a Brompton to complement it then my life would be complete. The guys at Pilen are super-friendly too. Nice to see this bicycle finally make it over to your side of the Atlantic. I love the color! I'm currently fixing up a an older bike for my daughter to use as an "around town" bike and her one request was that we paint it blue (the priorities of a ten-year-old), I wonder if I can find something closer to this. "If your Swedish guest offers to make lutfisk, politely decline and remove her from your xmas card mailing list. She intends you harm. " I beg to differ- it's better than the bottled gefilte fish I grew up with. One person's ethnic soul food is another person's culinary dare! The story goes that the Irish invented lutefisk to poison the Northmen, who never quite got the idea that it was supposed to *kill* them. early mountain bike is interesting. That is typically a very smooth solid feeling, in my experience, much like the heavier touring bikes of the same era. How is the Pilen's maneuverability compared to the UK and Dutch roadsters. Is the slow speed stability accompanied by any less manueverability? Sherlock/ GR Jim - Just to clarify, I don't find Dutch bike geometry inefficient. Several Dutch bikes I've ridden have been surprisingly fast and relatively easy uphill. More on weight distribution: There are other bikes with very slack seat tube angles, like the Raleigh DL-1 (same ST angle as a typical Dutch bike - 66degrees or so I believe) that handle differently and don't have the extreme front end lightness. At first I thought that this was because the DL-1's handlebars are so much lower. But a friend of mine rigged up his Dutch bike with super low handlebars and the front end is still light. The reason I mentioned trail is that I remember a framebuilder remarking how on Dutch bikes it is freakishly high, and that together with the slack ST it makes the handling weird. On the Raleigh DL-1 it could be lower. As usual you've got a nice bike but today I was completely distracted by the colour. I had a sweater as a child in this very shade of blue and loved it to pieces. I've never found something similar to it again. Does anyone know how this colour is called offially? Incidentally, to be a wee-bit pedantic Velouria, Pilen actually means 'The Arrow' rather than just 'Arrow'. Pile (pron. pee-le) is an arrow. The 'n' denotes the definitive article. It's the same in Norwegian as it is in Swedish. But maybe knowledge of Swedish grammar could play a role in the give-away... Either that, or who can make the best Lutefisk. Well to be even more pedantic but in this case concerning myself; that should've been 'definite article', not 'definitive article'. Oh and one more thing, Pilen have a range of new models and colour-schemes coming out soon, which can be found on their facebook page if anyone is interested. Failing that, simply type 'Pilen Cykel' into the search function and head to the photo albums. I think the Sport and the Tamelander look especially nice although with my own build (with my own frame) underway, I personally don't have any more room for another bicycle. I could just squeeze a Brompton in to my storeroom! Yes, the Tamelander is a great bike. I can attest to that! :) I own the only existing one. About the word Pilen, go to the sources: it's latin. pīlum, the heavy javelin of the Roman infantry. I don't find trad Dutch women's bikes inefficient for their genre, but vs. a road bike the position is limiting for muscle recruitment. Also when I look @ Amsterdamize's photostream it looks like the bikes Dutch women are buying are more modern in geo like the Pilen, vs. what someone somewhere called The Full Mary Poppins. I hesitate to pull one number out of a frame like trail because it all works together, but it might have something to do with Front End Lightness. As I read it FEL has to do with wheelbase, chainstay length, ST angle, TT length, HT length, HT angle, bar height, and wheel size. Maybe BB drop. To me the trad women's Dutch bike geo rides like a moto/bicycle chopper or a unicycle with an extra wheel. Amazing bike! I read that Clever Cycles is going to start stocking them soon, and I was just excited to see more pics of them, but its awesome that you're actually test riding the bike. It will be great to read the review. Just a note that this is a different model than what Clever Cycles will be selling. They are having a special non-coasterbrake, 8 speed version being made for them, with some additional minor changes. The bike I am test riding is a standard Pilen, gotten directly from the distributor. No place to comment on your For Sale post -- just wanted to mention that the Ibex size chart lists medium as 8-10, not 6. IN case that widens the field for sales! Thanks! Sizing from wool manufacturers tends to be all over the place, and I bought the M based on feedback I'd gotten from a friend that these skirts run small. It is quite big on me, but I still would not call it a size 10, no way. US 6-8 is more like it. How so very American of you! (kidding) I'm both secure with my sexuality and about 1.5 inches taller than you. Seems like a match made in heaven. Q:Best first time making out with a boy story. Anyhow, get ready for the fierce Ostkaka competition! Thanks everyone, for comments on the light front end of "Dutch" bikes. I'm excited to try a "real" one out. How did I miss that the Kilo is Danish? I feel quite stupid. One of the most beautiful men I ever knew was Danish, and wore these magnificent sweaters that would have made you drool, Veloria, as a fellow knitter. I was honestly so distracted by the gorgeous Danish sweaters, that I never flirted with the gorgeous Danish man inside them, despite being young and single at the time. I like that Pilen. Wish the bike I ordered from Creme had been even half as nice. Wow. I checked out your blog and those pictures of the Creme Mixte you'd purchased. Clearly they're taking the idea of manufacturing to a price-point to a whole new level. I've seen evidence of a few manufacturers who've recently sprung up to cash in on the urban-cycling bandwagon (website invariably replete with young hipsters making their way to the nearest cafe). I suppose they are sufficient numbers of people out there who simply aren't knowledgeable enough to know that they're ultimately being sold a pup and inferior products such as this do damage to the cause of urban cycling in the long run. Thankfully we have blogs like your's and Velouria's here perform a vital service for the inexperienced. Since Magnus started it, here are two photos of my Pilen SuperLyx taken on a glorious Savandinavian Summers day on a long, meandering ride out of Oslo - no destination in mind. I am 5'8" so although I feel this Pilen would fit me, I can find bikes that do fit my frame in my area. What I would like you to consider is that I could somehow perhaps promote your blog a bit in my area. I do have a need for an everyday bicycle that I can ride on both street and path. I live in the city of Atlanta, and there are some bike paths, but travel includes side walks as well as streets in order to get around. So a tough bike is certainly something that I need. We do have quite a few hills here, but I am used to them... and regularly tote my groceries and other things on a bike that is about 42 pounds. Since I have started using a bicycle for transportation about 6 months ago, I have become more and more captivated with bicycling. I did ride a bike in my early twenties, but for exercise only and in completely different circumstances. I had forgotten how much bicycling makes me feel connected to the seasons and community. For me newly working out of the home 100%, bicycling coincides with a feeling of freedom, including freedom from car expenses! 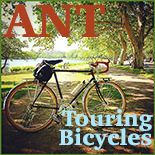 I've joined the Atlanta Bicycle Coalition and will start some weekly rides with them. I can't wait to meet other people with my same interest. I also want to just say that I have been extremely inspired by your blog - and I'd love to try and start my own version for this area. I'm sure I can't compete with yours, and I have no expertise with photography (I have Sony power shot that I bought about a year ago, that I barely used, and am going to have to take it in to find out why it isn't working currently after recharging the batter)- but I'd still like to document my growing experience with bicycling in my area. If allowed, I'd love to connect my little blog to yours for all your wonderful information. 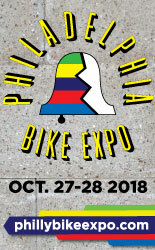 I am very fortunate to have about 8 independent bicycle shops all under 5 miles from my home and I will be checking them all out. Maybe I should get started on my blog! Obviously I plan to do this whether I get a bike or not, but there is a big bicycle market, (including commuter biking) in Atlanta, that is probably getting ready to explode this Spring when the Atlanta Beltline's (a biking /jogging path that will follow a circle of old rail lines all the way around Atlanta see it here: http://www.beltline.org/ ) first stages are completed. Atlanta will be a great market for a company like Pilen to get their foot hold in first! become known in. I'd love to be a distributer if only I had a bike shop! Grant, you're right in all ways: I was an inexperienced internet bike buyer (though to be fair, I asked the entirety of the Classic and Vintage section of Bike Forums what they thought of the bike before I bought, and they thought it looked pretty good too). It was a classic case of knowing what I wanted, but being naive about how to get it. I'm glad I was able to send it back and salvage the situation. The Pilen is obviously 100% better in every way. I'm envious of that Pilen, actually, though it's too big for me to even try. Dang tall Swedes. I don't know if V. will like it or not, in the end, but I wish I could try one to see what I think. Ah well. V, I like that color a lot, and was thinking that a slightly darker blue would be nice for my Dream Bike. Funny, when you google RAL 5001, it looks NOTHING like that color online. I know colors are inaccurately portrayed online as opposed to real life, but I was surprised how pretty that color is on the bike, and how dusty and unattractive it looks on the online cards. Obviously, one must go in person to select a color. 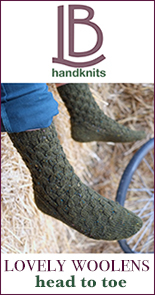 Just thought it was interesting to see the difference, as I hadn't thought it would be so extreme, having bought many colorful things online with color cards (like yarns) that turned out to be pretty close.